We supply and install grid tied photovoltaic systems wherein excess electricity, together with net metering, is sold back to the grid and deficiency of power is taken from the grid, all of this regulated by the power inverter Ecosolar industries provides grid tied systems for residential, commercial and industrial. From single phase to triple phase systems, we can provide you with installations for as low as 2 kilowatt to as high as 1 megawatt. 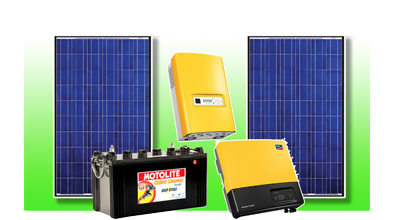 We also supply and install off grid photovoltaic systems wherein excess electricity is stored in deep cycle batteries all of this regulated by the power inverter and charge controller. Ecosolar industries provides off grid systems for residential, commercial and industrial. We can provide you with installations for as low as 2 kilowatt to as high as 100 kilowatt. Samil Power Co., Ltd. 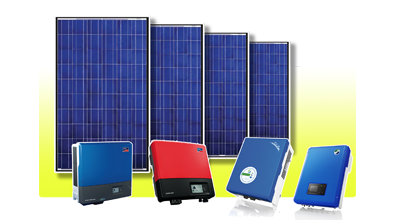 Founded in 1992 it is one of the fastest growing solar inverter companies globally and is specialised on R&D, production, sales/marketing and service.